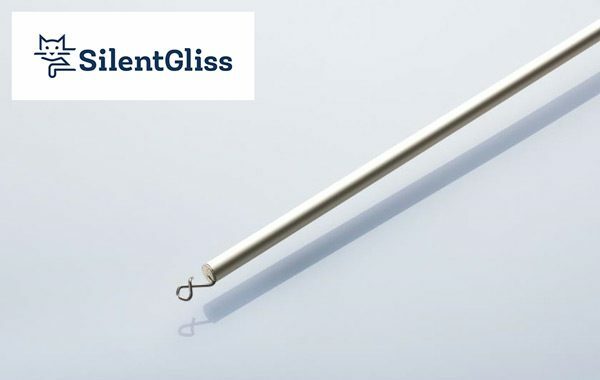 A lightweight aluminium Silent Gliss draw rod available in white or silver to enable you to open and close your curtains without touching them. The draw rod attaches to the leading curtain hook and hides behind the curtain when not in use. Available in 5 lengths.